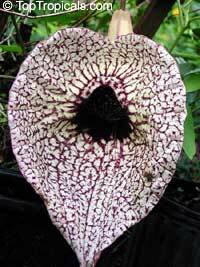 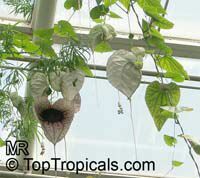 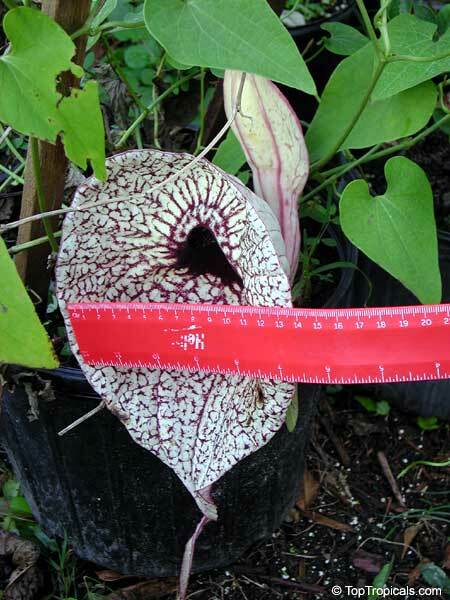 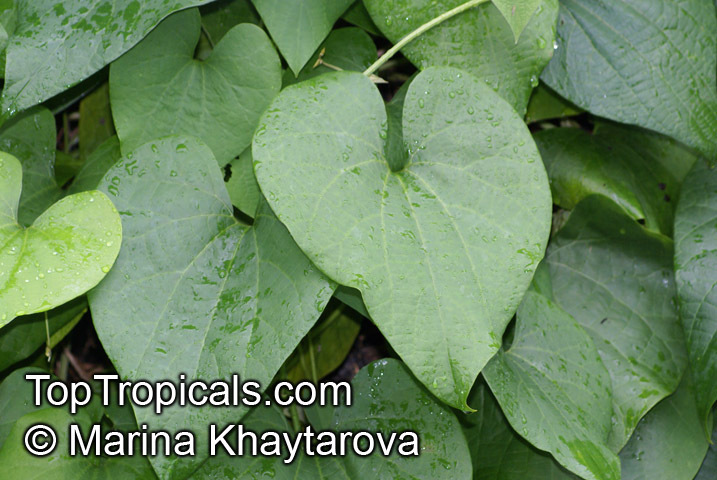 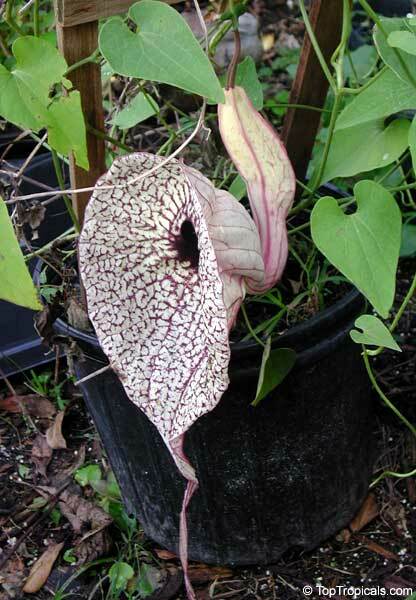 This creeper produces a gargantuan flower that is more beautiful than Aristolochia gigantea (in some sources, Aristolochia gigantea is considered as Aristolochia grandiflora var. 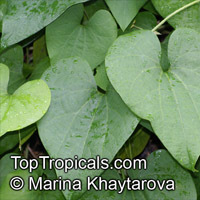 Hookeri). 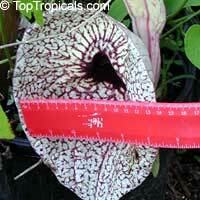 The solitary blooms have heart-shaped faces about a foot long and 8 inches wide. 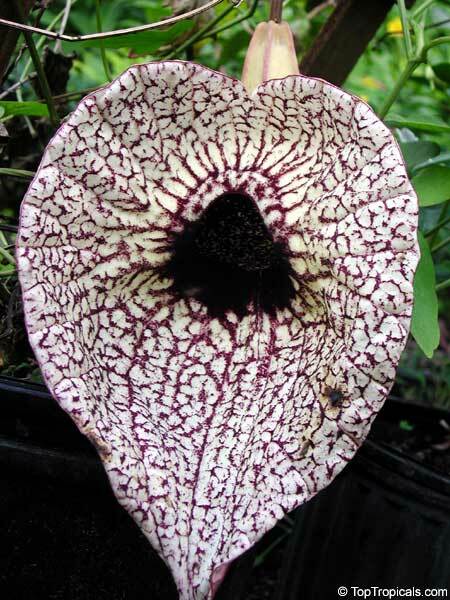 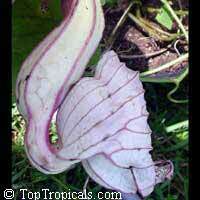 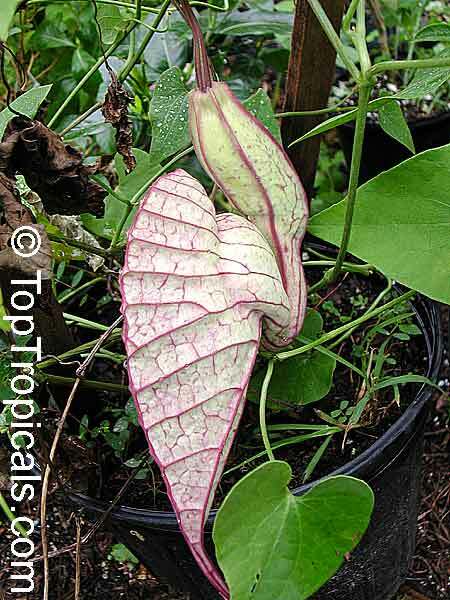 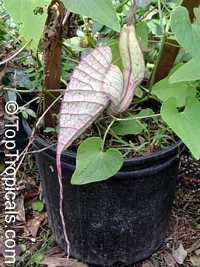 Rich purple blotches and veins cover the creamy white face of the flower. 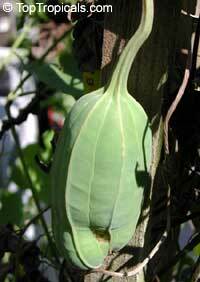 At the center of the blossom, a livid purple bull’s-eye leads to an inflated pouch. 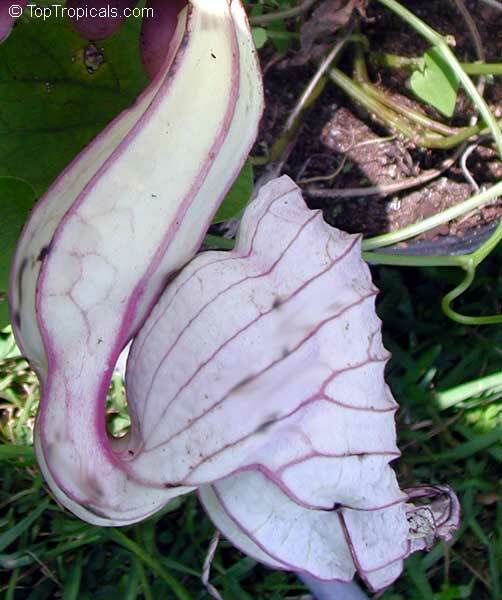 As added adornment, a foot-long, slender tail hangs from the flower. 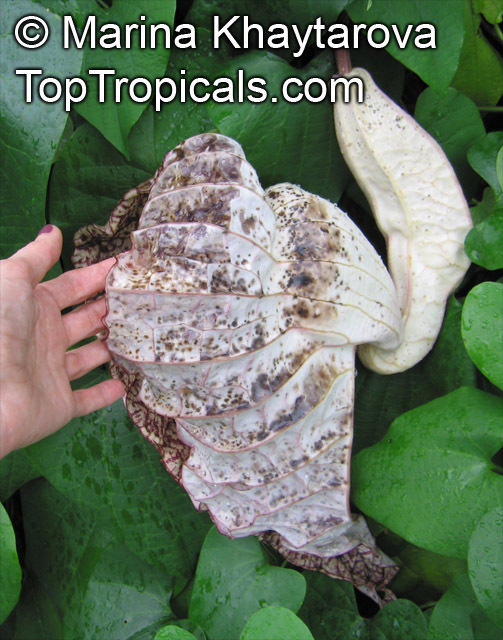 There is a malodorous aspect to the bloom; however, it dissipates after the first 24 hours. 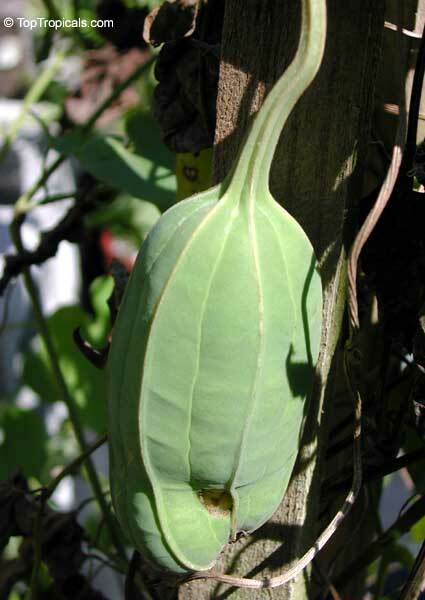 Papery capsule containing many seeds.